Chip seals are an efficient process to waterproof the entire road surface, seal minor cracks, improve traction and protect against oxidization. Keeping roads in good working order is no easy challenge. One way to keep your roads in good repair, extend their useful life and save money is a chip seal application. 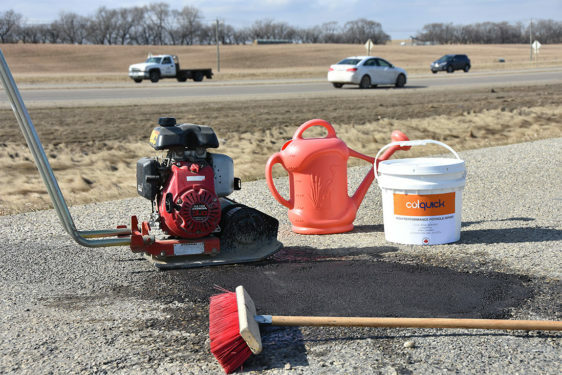 ACP chip seals are installed by spraying a rapid-setting emulsion on the road surface (even concrete) followed by a washed aggregate that is pressed into the emulsion. After the seal has set, the area is swept to ensure chips that did not set are removed before opening the road to traffic. When applying chip seals, both microtexture and macrotexture are taken into consideration. Microtexture is the texture of the individual stones and chips and provides grip and skid resistance. Macrotexture, on the other hand, is the overall texture of the road and an important consideration where higher speeds and wet weather are an issue. ACP has the knowledge and engineering expertise to design and apply your chip seal to the precise specifications required.